Bishop Westcott is best remembered as an academic and for his immeasurable contribution to biblical scholarship. As a 19th century Cambridge intellectual, he held a distinctive middle course at a time of growing divide between ‘literalists’ and ‘liberals’ in the interpretation of the Bible. He was known for his many scriptural commentaries, but as Bishop of Durham he also played an active role in the social issues facing his diocese. Brooke Foss Westcott was born on the 12th January 1825 and was educated at King Edward VI School, Birmingham. There he formed a friendship with Joseph Barber Lightfoot, who in later life was to become a Cambridge colleague and precede him as Bishop of Durham. His father, Frederick Brooke Westcott, was a distinguished botanist. In 1844 Westcott obtained a scholarship at Trinity College, Cambridge, and was awarded a double-first honours degree. In 1851 he was ordained and became an assistant master at Harrow School, where he remained for nearly 20 years. Soon after his arrival he married. He vigorously pursued his academic work, combining his school duties with a great deal of theological research. He wrote a series of scholarly works on the Bible, and was prominent in the revival of biblical studies. Within a few years he published the first edition of his History of the New Testament Canon, which became the standard English work on the subject. In 1869 Westcott left Harrow to become a Canon of Peterborough Cathedral, but just a year later he was elected Regius Professor of Divinity at Cambridge. This marked a turning-point in his life. Supported by his friends Lightfoot and Fenton Hort, he threw himself into the new work with amazing energy. Westcott played a leading part in raising the standard of theological study in the University. He reformed the regulations for degrees in divinity and was responsible for the formation and first revision of the new theology tripos. He planned lectures and organised the new Divinity School and Library. He promoted mission and set up the Cambridge mission to Delhi. 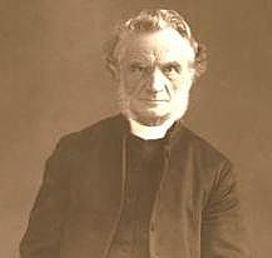 Lightfoot was appointed bishop of Durham in 1879. A couple of years later, Westcott and his colleague Hort, published an edition of the New Testament in Greek. This was the result of nearly thirty years ceaseless labour and is believed to be the most significant critical edition ever produced by British scholars. Under Westcott’s leadership a group of Cambridge academics set up the Cambridge Clergy Training School to train men who wanted to remain close to the University rather than studying elsewhere. Eighteen years later, he opened the buildings of the School in Jesus Lane. In 1890 he was consecrated Bishop in Westminster Abbey and two weeks later enthroned as Bishop of Durham following in the footsteps of Lightfoot, who had died in December 1889. The change of work and surroundings could hardly have been greater. But he gained new strength from his sudden immersion in the administration of a northern diocese. He took a practical interest in the Durham mining industry and the shipping industries of Sunderland and Gateshead. In 1892 he succeeded in bringing a peaceful solution to a long and bitter strike in the Durham coalfields by arranging conferences between employers and trades union leaders. He opposed the arms race between the European powers, which eventually led to the First World War, and worked for international arbitration. He was a staunch supporter of the co-operative movement. He was the main driving force in the foundation of the Christian Social Union. After his death in Durham on 27 July 1901, the Training School in Cambridge was renamed Westcott House in his memory, so that his name is as familiar today as it was over a hundred years ago. Clearly the crises that confronted Brooke Foss Westcott revealed him as one of the great men of his time.